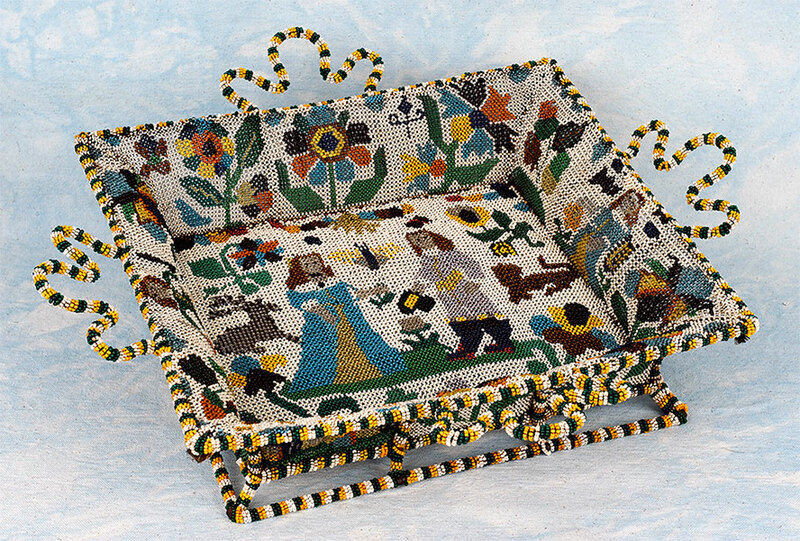 Bead Work Basket. Mid 17th Century. 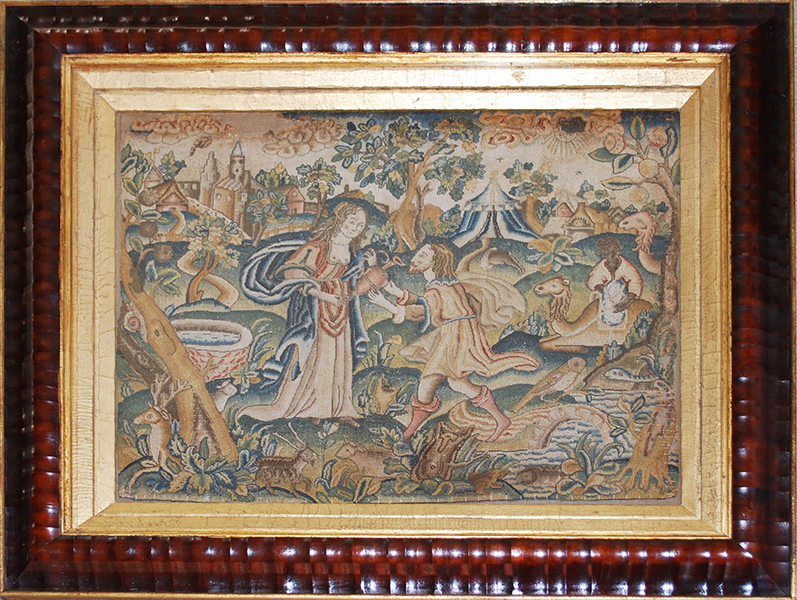 A rare bead work basket of small size depicting a noble couple she proffering flowers and her partner with a doffed hat. 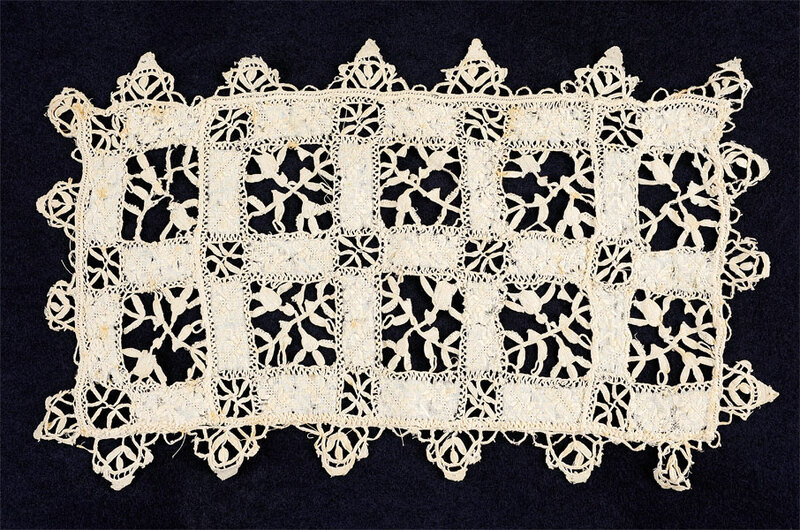 Baskets such as this example, like embroideries from the same period depicting similar images, were probably made to celebrate an engagement or betrothal. English. Circa 1660. Late 17th / Early 18th century Wall Pocket. A very rare shaped hanging wall pocket comprising four compartments and of unusually large size. The flower embroidered pockets finely worked with shaded silks and raised metallic threads with linings of pink silk. Size: 26 x 9 ins. Framed Size: 30 x 13 ins. An unusual bead work roundel featuring a centrally positioned angel playing a horn, flanked on either side by a mythical griffon and a wyvern. In fine condition with good detail. 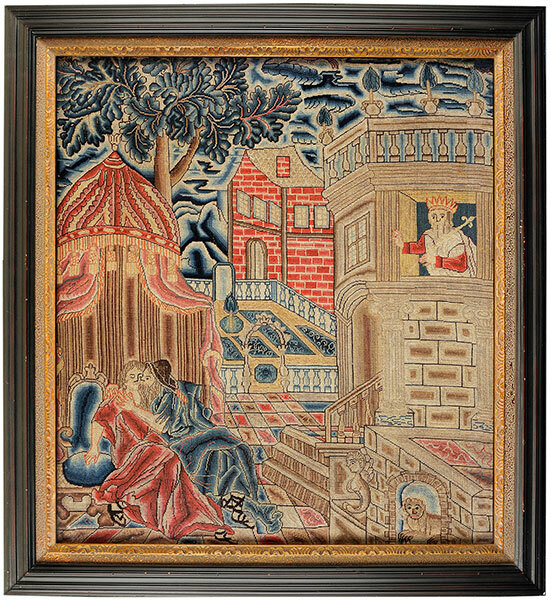 A finely worked 17th Century Tent Stitch embroidery worked with coloured silks based on an engraving by Gerard de Jode. Antwerp 1585. Rebecca greets Abraham's servant Eliezer as he searches for a wife for Isaac, offering him and his camel water from the well. Framed size: 17 x 20 in. 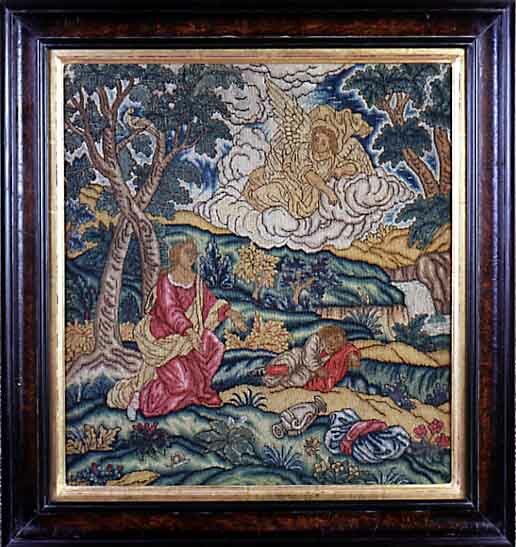 Hagar and Ishmael have been cast into the wilderness but fortunately a helpful angel is pointing to a source of water. Brightly coloured silks and wool. English. Circa 1720. A fine cope hood with heavy metallic fringed border. 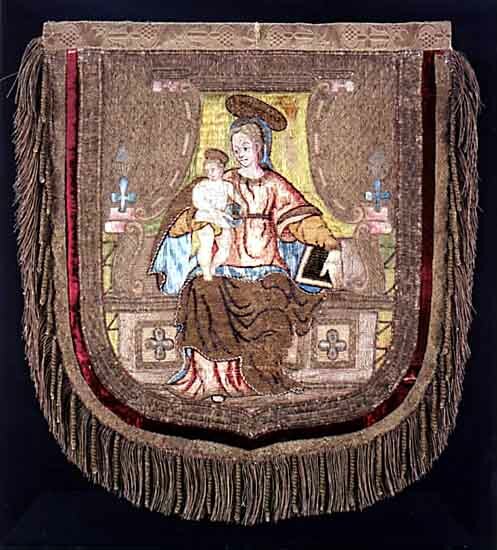 The faces and hands of The Virgin and Christchild worked in split stitch, the robes in couched floss silk and gold thread on a gold thread diapered ground. Spanish or Italian. Circa 1580. Framed size: 71 x 69 cm.